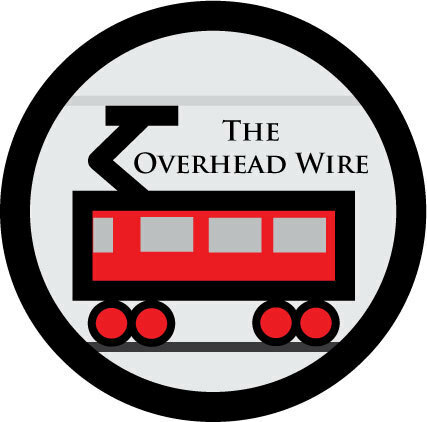 The Overhead Wire: Adamantium for Hawaii Rail Composition! Adamantium for Hawaii Rail Composition! Mayor Mufi won the majority of votes in his re-election bid but not enough to dispatch both of his opponents in the Honolulu mayoral primary. His 49% haul beat out both crazed highwayman Panos Prevedoros and current council member Anne Kobayashi who together rang up 48% of the vote. Close for sure but the totals were reflective of a mayoral race and not November's presidential election which will bring out the city's residents to vote in droves. Out of 900,000 people, only about 150,000 or ~16% came out to vote. In the 2000 election, Hawaii had about a 41% turnout rate however with a native son in Barack Obama running it is likely to be much much more. Mayor Mufi now faces Kobayashi in the November election and it has been billed as a Rail vs. BRT showdown. On the ballot is a yes or no question of whether to go with steel wheels on steel rail. It's possibly the silliest transit question on any ballot ever, but its there and people are going to vote. A more pressing question in a city denser than most others in the United States should have a rail system, however the technology for the rail should be a bigger question. An automated guideway like Skytrain in Vancouver which is under discussion or a typical metro or light rail system that could be operated using interchangable parts that are not proprietary. I'd personally like to see more of that discussion. The fact of the matter is that with a higher turnout it is likely that Mufi will win and the rail will pass. The reason being that most people support the rail transit solution and a defeat will only come when numbers are diluted or rail backers do something stupid, which isn't out of the realm of possibility. The next vote however will be on whether they should go with adamantium or steel for the rails themselves. After that, the voters will decide on whether the computer chips in the trains will be Intel, AMD or an abacus.